I really loved this product it was so so satisfying for me and i'm recommending this product its so refreshing !!!!!!! !❤❤❤❤ For those who want to nourish there skin try this product you won't regret it!!! I swear!!!!!! I just discovered this product by my friend who was an kpop fanatic and also using the same product!!!! So guys what are you waiting for buy this now! Yall need to try this product!!!!! I love this product so much!!!!! it is so refreshing and overall just amazing!!!!! i watched a youtuber review this and had to buy it for myself!!!!!! Highly recommend!!!!!! hopefully y'all will enjoy it as much as i did!!! thank you for creating this product!!!!!!! I really like this sleeping mask. I use it every time my skin starts to flare up. It soothes my skin. This mask is very light weight. I also like that it has a natural rose scent and not fragrance. I really recommend this product to people with sensitive skin. It's also made with 100% EWG verified ingredients so nothing is harsh or will harm your skin. 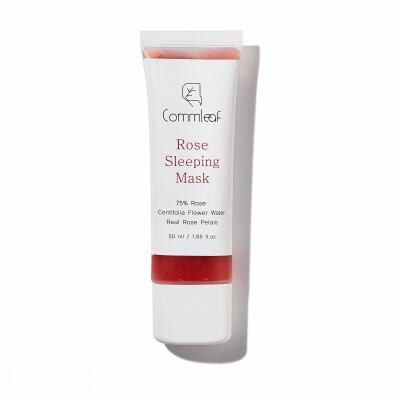 I can proudly say this is really great sleeping mask :) I got one from my friend, and I I used this with my wife . Both of us really love this product and we bought one again :) Normally I don't use so much time for my skin, so my skin was being worse. :( but this is very useful item for after shaving. My wife really love this product , so she bought few of this products again for her sister in US:) I wonder that is silicone brush useful for this ?